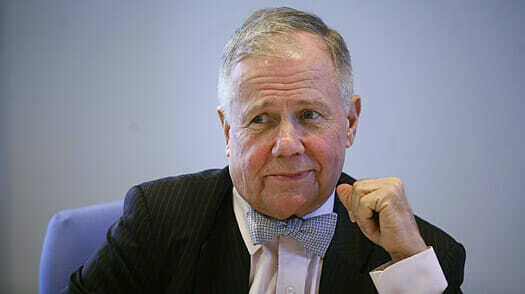 Today on Trend Following Radio Michael Covel interviews Jim Rogers. Jim is a famed American investor based in Singapore. He was co-founder of the Quantum Fund, and has authored numerous books. Today’s conversation is geared toward the central banking system and the direction Michael and Jim think the world’s economy is headed. Michael starts the podcast off talking about negative interest rates and if that is a possibility in the U.S. Jim brings up a study published in 2007 that said, “We have the Federal Reserve, we have 1,000 of the most brilliant economists in the world how can we be wrong? How can people say that we are wrong?” Jim says that for the last 30 years the Fed has done just that. They have gotten just about everything wrong. Janet Yellen has been getting everything wrong since before she was even head of the Fed. She blames her blunders on the market being wrong or the public being wrong. According to Jim, every head of the Fed has been an academic and political hack. Michael posits, “Everyone should be able to imagine another stock crash, we have had enough of them.” Jim says that the debt is staggering right now so when we have a crash it is going to be utter chaos. When we have extreme economic problems a war usually follows as well as someone coming in on a white horse to save the day. That white horse person will also cause more debt and make things even worse. This is the first time in history that government is actually out to destroy the people who have saved and set away for retirement. The middle and saving class has been destroyed before, but that was because of war or inflation. Jim says that it is mind boggling that the government’s solution to clearing up debt is to create more debt. Next, Michael asks, “How do you see China right now?” Jim says that when they had their big market crash they chose to invest in the future with money they had saved. In America, we did the opposite. We chose to bail out the bureaucrats and make sure the rich didn’t go poor. The European and Japanese central banks have come out saying that they will practice unlimited QE funding. They will print unlimited amounts of money to solve their economic problems. Most do not question this because most people have no idea who or want the central bank is. Lastly, Michael asks Jim what the best way is to prepare for potential problems that may unfold in the future. Jim says the first thing is to not listen to the news or what you may read on the internet. Stay with what you know and if you don’t think you know something, do nothing..
Get the foundation to making money in up, down and *surprise markets on the Trend Following mailing list.